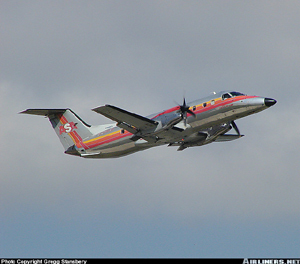 Approximately 30 minutes after departing from the Atlanta Hartsfield International Airport, Atlanta, Georgia, an Embraer EMB-120RT airplane, operated as Flight 529 by Atlantic Southeast Airlines Inc., experienced the loss of a blade from the left engine propeller while climbing through 18,100 feet. The airplane crashed near West Georgia Regional Airport, Carrollton, Georgia while attempting an emergency landing. The crash killed seven passengers and the captain. The in-flight separation of the propeller blade resulted in failure of the left engine mount, displacing the propeller and gearbox to the left side of the wing. This resulted in excessive drag, loss of wing lift, and reduced directional control of the airplane. The NTSB determined that the propeller blade fracture was caused by a fatigue crack originating from multiple corrosion pits that, due to ineffective maintenance procedures, had not been discovered. The accident blade had initially been removed from service after failing an on-wing ultrasonic inspection. However, the accident investigation determined that the inspection procedure used to detect cracks and corrosion in the taper bore surface of the blade spar was inadequate. Additionally, inadequate training of maintenance personnel, and poor communication by the propeller manufacturer led to misapplication of the propeller repair procedure, allowing the accident blade to be returned to service with an undetected crack.